WASHINGTON (KGO) -- It's been determined that a turkey from the Central Valley has the right stuff-ing. 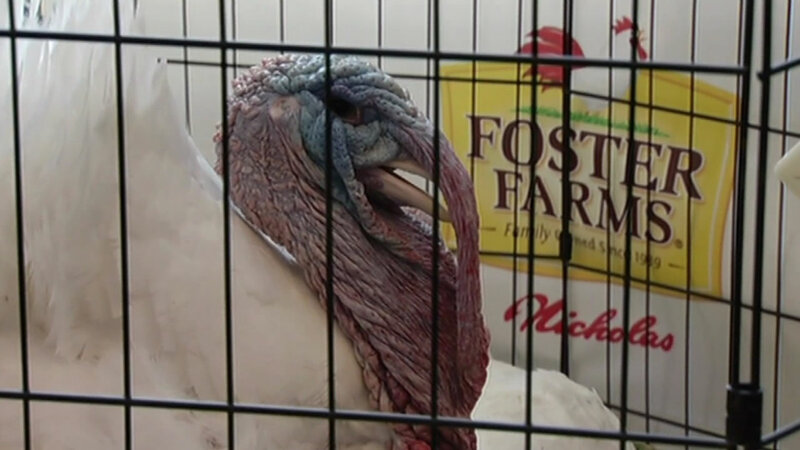 Foster Farms announced Tuesday that one of its turkeys will receive the annual Thanksgiving pardon from President Obama, beating out 20 other birds for the honor. The Nicholas White turkey will arrive at SFO next Monday with its own motorcade, where it will board a flight dubbed Turkey One for a trip to the White House. The turkey pardon tradition actually began back in 1987 with President Reagan.